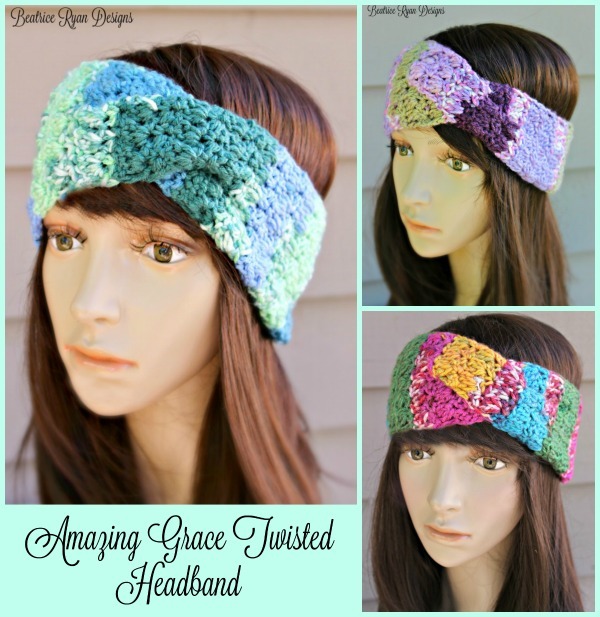 Amazing Grace Twisted Headband…Free Crochet Pattern! If you love this Free Pattern, add it to your Ravelry favorites!! Click Here…. Amazing Grace Twisted headband is a simple pattern using the Amazing Grace standard stitch. 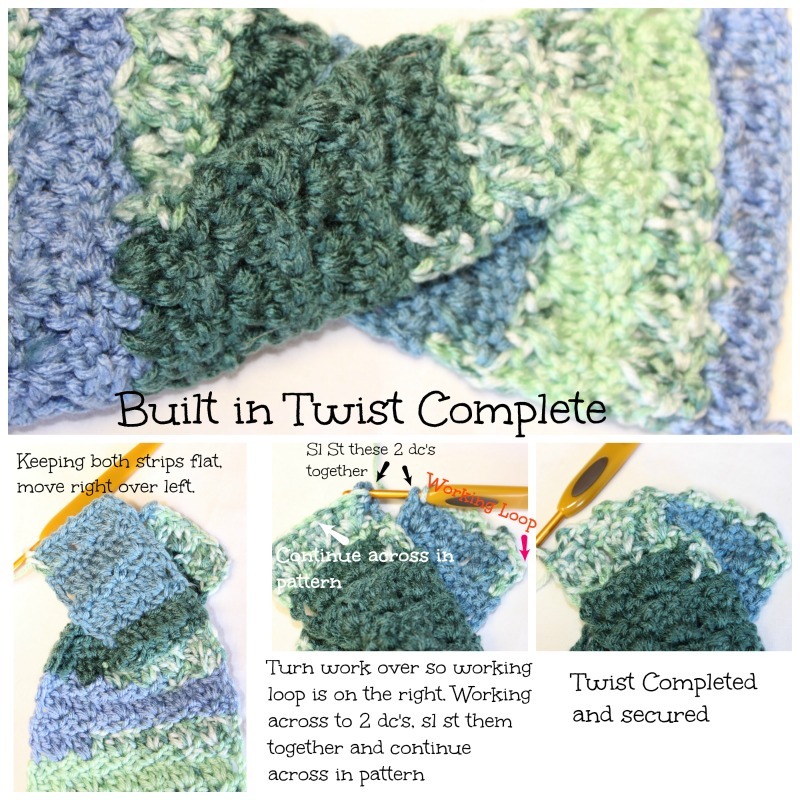 To achieve the twist that sets this off, you work the pattern in two sections for a few rows, cross them and work the piece in one solid pattern again… But, don’t worry, there is a photo tutorial at the bottom of the pattern for you to see how this works!! Yarn ~ 90 yards worsted weight yarn. Cross the 2 halves over each other making sure they remain flat. Rows 34-53: Repeat rows 2 & 3. finish off leaving a long tail for sewing. Making sure the headband is flat, sew 2 ends together. Congratulations… You now have an Amazing Grace Twisted Headband!!! ©Copyright 2017 Elena Hunt/Beatrice Ryan Designs. All of my patterns and posts are my own work. Do not copy them in any way. If you want to share this information with someone, share the link to this post. If you want to share on your own blog, website or social media, then you may use the first photo in this post and link back to this post. You may not give away printed copies of this post. Thank you. This post may contain affiliate links/ads. If you purchase something from a link in this post, I may be compensated. Fabulous Fall Fashion… Hats and Headbands!! Amazing Grace Baby Cocoon… New Free Crochet Pattern!! I just found the “Amazing Grace Twisted Headband” and it’s perfect for what I need for a quick gift. Thank you for the pattern.